Acknowledged author David G. Myers wrote Psychology comprising 896 pages back in 2017. Textbook and etextbook are published under ISBN 131905062X and 9781319050627. Since then Psychology textbook received total rating of 4.5 stars and was available to sell back to BooksRun online for the top buyback price of $79.25 or rent at the marketplace. 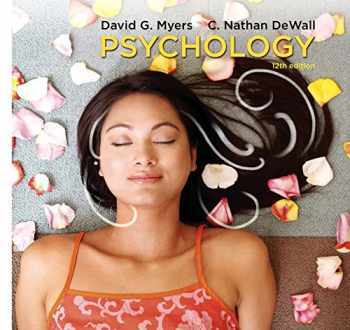 David Myers’ bestselling Psychology has reached a wider audience of students and instructors with each new edition. Myers and his team lead the field in being attuned to psychology’s research and the needs of the instructors and students in the course today. Ten million student class testers and thousands of adopting instructors can attest to the quality of this project. True to form, this landmark new 11th Edition is another vigorous, deeply considered revision.